The newest Genie Nano provides a very high-resolution image in both color and monochrome, affordable easy to use digital camera specifically engineered for industrial imaging applications requiring improved network integration. Genie Nano model C4900 cameras use the industries’ latest leading sensor such as the On-Semi AR1820HS which is a 1/2.3-inch CMOS active-pixel digital imaging sensor with 1.25x1.25μm A-PixHS™ BSI Pixel. ON Semiconductor’s backside illuminated (BSI) pixel technology together with an advanced high-speed sensor architecture enables a new class of high performance rolling shutter machine vision camera. The BSI sensor has an Electronic Rolling Shutter (ERS) with Global Reset Release (GRR) function. 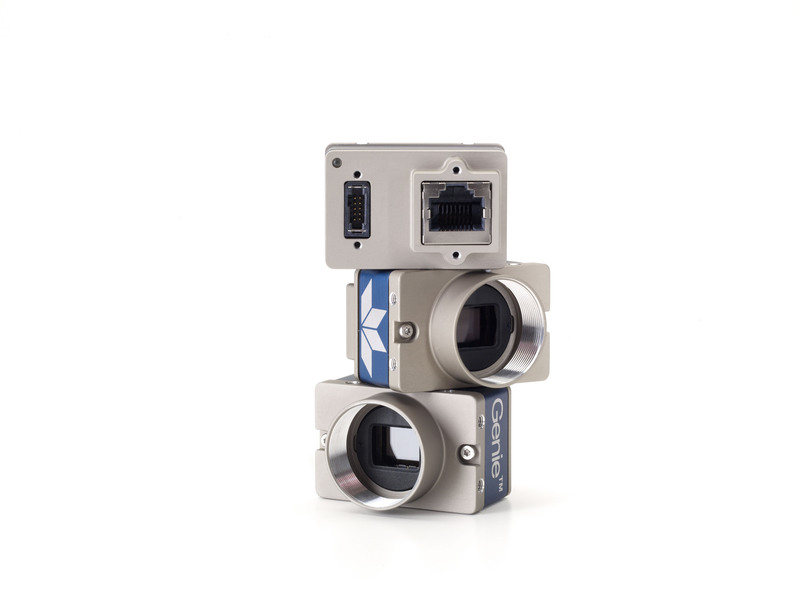 Genie Nano cameras combine standard gigabit Ethernet technology, that is supporting GigE Vision 1.2, with the Teledyne DALSA Trigger-to-Image-Reliability framework to dependably capture and transfer images from the camera to the host PC. Genie Nano cameras are available in a number of models implementing different sensors, image resolutions, and feature sets, either in monochrome or color versions.